The invoice price & true dealer cost are not the same. The true dealer cost of a Nissan NV is lower. 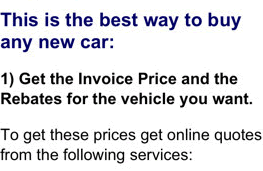 Note: The Nissan NV pricing report below does not include rebates or incentives. View Nissan Rebates and Incentives. Nissan NV Prices - How Much is a Nissan NV? The 2019 Nissan NV200 Compact Cargo is a cargo van that handles like a smaller vehicle while providing ample cargo room within the interior for all one needs to haul on a day to day basis. Special interior features help to create an office on wheels with a desk top surface and ample storage. With good fuel mileage and a powerful engine, this cargo van can handle the everyday stress of work or play at an affordable price. The 2019 Nissan NV200 Compact Cargo van has not been changed for the new year. It still includes all of the great features that people enjoyed in 2018. The 2019’s low load floor and two sliding side doors offer the same convenience one has come to expect from this front-wheel drive vehicle. 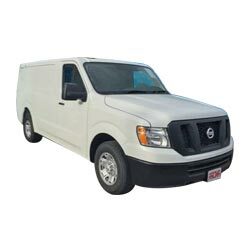 The 2019 Nissan NV200 Compact Cargo is manufactured with a base engine size of 2.0-liters. Horsepower is rated at 131, and there is 139 pounds to foot of torque. Fuel capacity is provided with a 14.5 gallon tank. One can expect to get around 24 miles per gallon while driving in town and 26 miles per gallon when cruising down the highway. Payload is listed as 1,450 pounds, and there is a cargo capacity of 122.7 cubic feet. The 2019 Nissan NV200 Compact Cargo is a stylish van that offers function as well as an attractive design. It is ideal for travelling in the city with its tight turning radius as well as easy handling. There is little to no trouble when it comes to fitting in small parking spaces or finding one's way down city streets. The interior of the NV200 Compact Cargo is like an office on wheels. One can fold down the passenger seat in the front to create a desk top surface for working on. Power outlets are conveniently located, and there is ample storage space for all of the important items needed when working. This cargo van also comes with Nissan Connect. It is a collection of high-tech features that are accessed with either voice recognition or a touchscreen that is built-in. It is a wonderful way to stay in touch with customers, family, or friends, and it negotiates traffic and construction so that one is not wasting precious time. The 2019 Nissan NV200 Compact Cargo is desirable for the more than adequate cargo space it provides. Nothing interferes with the interior space. Nissan specially design its rear suspension so that it doesn't compromise the cargo area any more than it has to. Side doors slide open and the back door swings out wide for easy accessibility when loading and unloading the contents. The floor of the cargo area measures 48 inches wide with a depth of 82.8 inches. The 21.2 inch lift-over height makes it easy to stow away even large and heavy items. The back door is also squared off so that a forklift can navigate it easily. A flat floor, along with squared wheel wells, allows one to make use of every available square inch of cargo space. There are two trim levels being offered with the 2019 Nissan NV200 Compact Cargo. The base level is the S version with many standard features. It has a manufacturer's suggested retail price of $22,200. Audio controls are found on the steering wheel which has three spokes and is made of urethane. Vinyl wear patches are found on the cloth seats for extra durability. Comfort is all part of the S trim level's design. The driver's seat adjusts to six positions while the passenger seat offers four-way adjustability. An AM/FM radio with a CD player provides entertainment along with two speakers. Hands free texting as well as phone connectivity are taken care of through the five-inch display in color. Power door locks and windows are also included. Stepping up to the SV trim package brings a manufacturer's suggested retail price of $23,200. Controls mounted to the steering wheel and cruise control are added to what one finds in the S level version. Six cargo tie downs are found mounted to the floor for efficiency. The exterior is upgraded as well with mirrors and bumpers in the body color and a chrome grille. The SV trim package allows for some pretty interesting options. One can choose to have the Nissan Connect Infotainment system along with Sirius XM radio. Navigation abilities come with this system that is controlled through the 5.8-inch touchscreen. There are plenty of items offered on both trim levels as optional. Tinted glass is available in the rear door windows and one can select to have sliding door glass. Rear defrosters are a nice touch in colder climates, and rear parking sensors can add to the standard safety features. 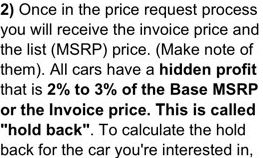 Example: Base Nissan NV invoice price + the dealer Invoice price of all the options + destination - Holdback = Total Dealer Cost. Note: All Nissan NV MSRP, invoice and dealer cost dollar figures above are approximate amounts. Prices are subject to change without notice.